The weather was nicer than some years past when we went out here. It got a little cold in the early morning hours, but other than that, wind was low and the sun was out and shining for the entire event. A very exciting event was the finding of the baby scorpion in some of the scout gear. Everything turned out well for both subjects in the attack, the scorpion was treated at the scene and released and the scout got squashed. 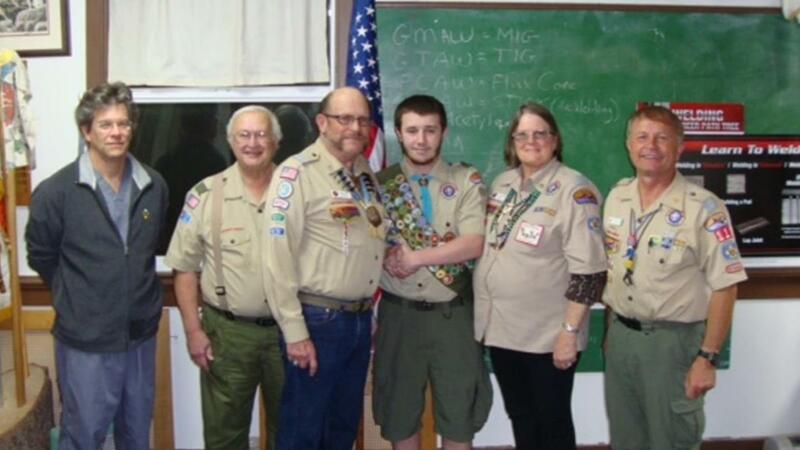 Troop 128 is proud to announce that Finn Anderson is our newest Eagle Scout. Finn is a fine young man and we expect great things from him!